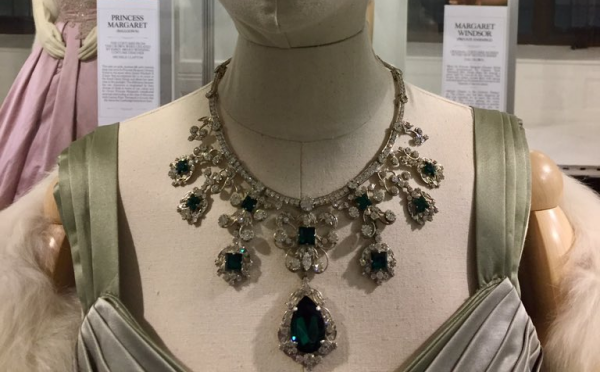 The Liberty exhibit featured a replica of one of my favorites of the Queen's necklaces: the lovely diamond and emerald Godman Necklace. 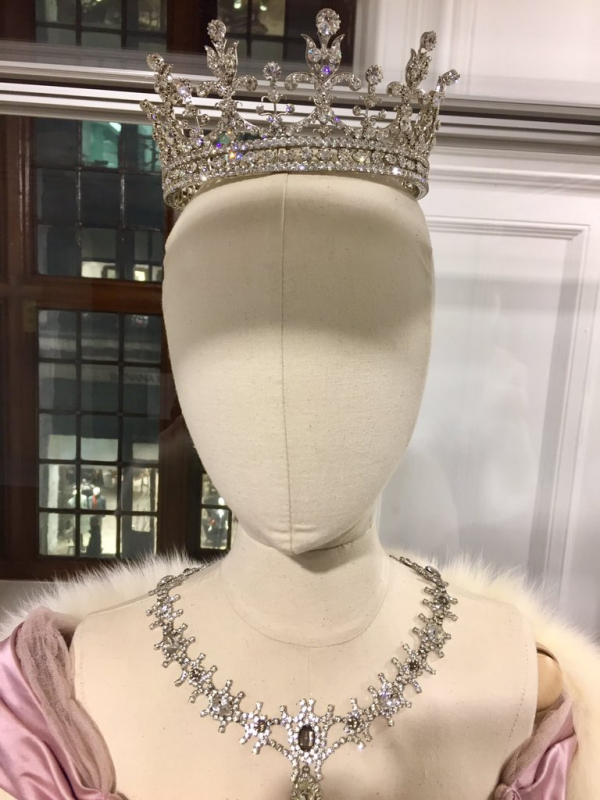 This was a good omission, though, because the Queen did not own the necklace until 1965, a full ten years after the first season ends. This necklace replica appears to be from Royal Exhibitions. 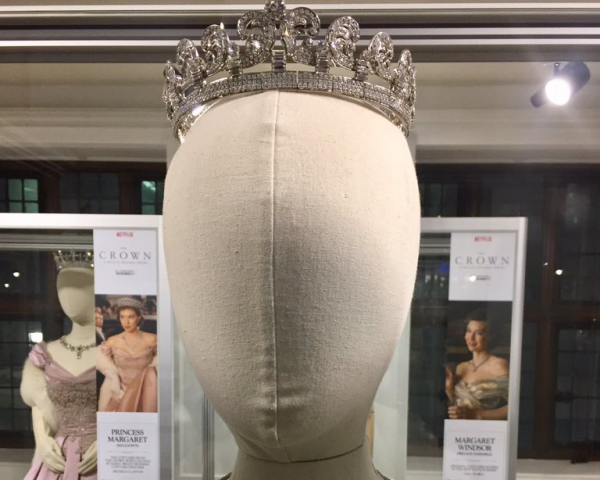 Emma O’Loughlin, an assistant costume designer for the series, told Vulture in November that "copyright issues" prevented The Crown from showing the Cartier Halo, which was worn by Princess Margaret at the coronation. 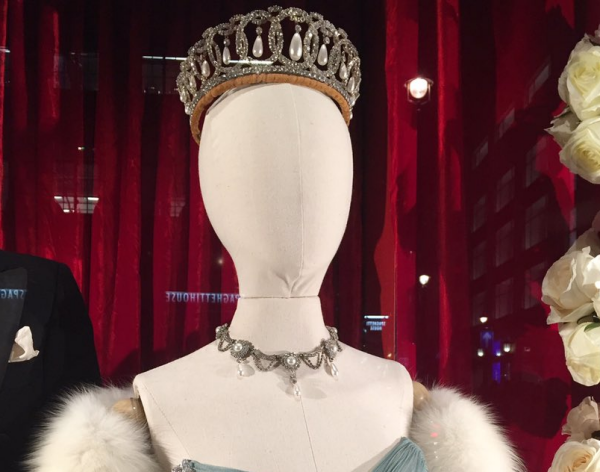 But the Liberty costume exhibit did feature a replica of the tiara. Still very disappointed that we didn't see this one on screen (and also disappointed that the production didn't choose a closer facsimile for Margaret's coronation tiara)! If you've not read the post at The Lady and the Rose about the exhibition, be sure to head over here. 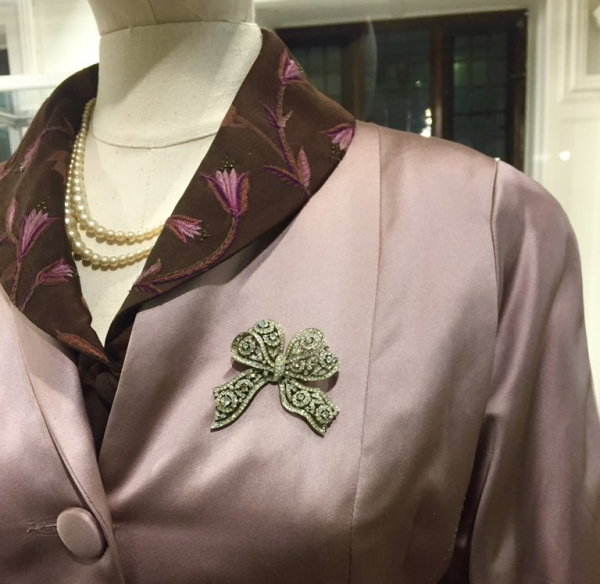 There are lots more pictures of the clothes and jewels to enjoy. 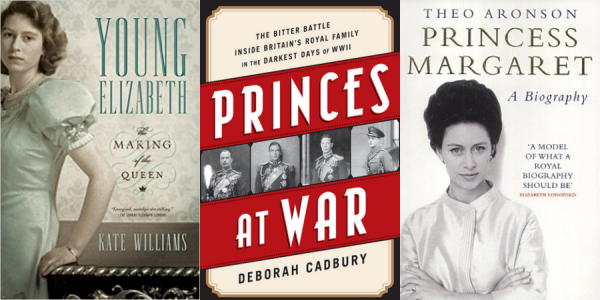 If you love period dramas and historical fashion, you're going to love her blog! I check her lists of upcoming period dramas constantly!